Search engine optimization is a complex series of actions, processes and strategies that webmasters and brands use to achieve better visibility in search, more traffic and increased brand awareness. All too often, SEO can feel like an overwhelming task that is too complicated to effectively understand. 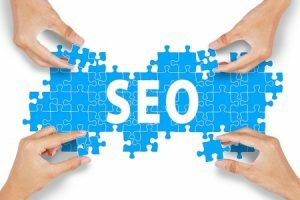 While the technical aspects of SEO can seem overwhelming, there are many basic components to it that can be easily understood by novices and experts alike. If you have been pursuing a strategy revolving around SEO but have yet to see any tangible results, then you’ll want to continue reading to find out why this might be happening. SEO is a difficult concept to master. Unfortunately for us, it can take months or years for any notable SEO benefits to really begin showing when competing in busy niches. This can be frustrating for first-time webmasters and bloggers, as well as anyone who was expecting more progress to be made sooner. It is entirely possible that your SEO efforts have not paid off because you gave up too soon or have otherwise not been pinging URLs and content to search engines for enough time. Remember: SEO is a long-term game and requires persistent dedication in order to generate success. If you merely try for a few weeks and then give up because massive changes haven’t occurred, then you only have yourself to blame. It can be infuriating to know that you have given it your all in SEO, but no measurable results have occurred. Why would this happen? In some cases, it is because the niche, keywords or overall targets you have are too fiercely contested or otherwise not desirable niches for many. There are two separate problems with this broader dynamic. The first is a complete lack of ranking changes, which is often fuelled by said keywords and niches being too saturated with competition. The second is an improvement in rankings but little to no changes in traffic, which often occurs because the demand for said content is weak. Ideally, you want to target keywords that have a combination of the least competition and most demand possible. The biggest running problem with SEO is that what constitutes good advice is always changing. With more than 20 years of experience in the arena, SEO is a completely different monster than it was in past years. For instance, pinging URLs from any website in the past was a great way to quickly ascend the ranks of search results, but today, that can destroy your chances. Additionally, there is a lot of subjective commentary regarding what works and what doesn’t work in terms of SEO; you’re sure to find conflicting forms of advice published within the same week on various SEO matters if you look hard enough. Because of this, your SEO strategy may be ill-advised in general and this could be to blame for the lacklustre performance (or complete lack thereof) that you have experienced. Not every brand is destined for SEO greatness. Some will find marginal success, while others will scale the tallest mountains. What specific problems have you ran into with SEO recently? Let us know in the comments below: somebody may have an answer to your woes. Download the Pingler WordPress Plugin and Increase Your Traffic! What Can Small Businesses Do to Keep Up with the SEO Competition?